How to recover deleted files? How to restore files? How to recover deleted files? How to retrieve lost files? How to recover files deleted? How to undelete file? How to recover files ? 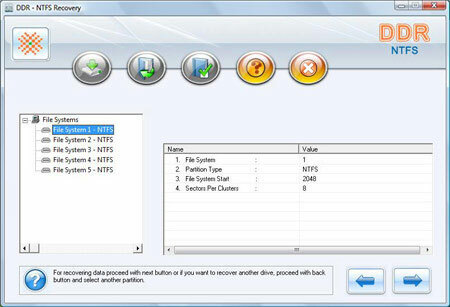 NTFS data recovery software recovers deleted files, folders from NTFS partitioned hard disk drive of all capacity. Using the following steps you can easily recover your deleted files from partitioned NTFS hard drive in comprehensive way. Select the 'Advance Search' ' searching criteria and click button ‘Next’ to proceed. Click ‘Refresh List’ to see the updated status of all connected disks to your PC. Click ‘Next’ button to start searching Data. Click ‘Back’ button to go back to previous step. 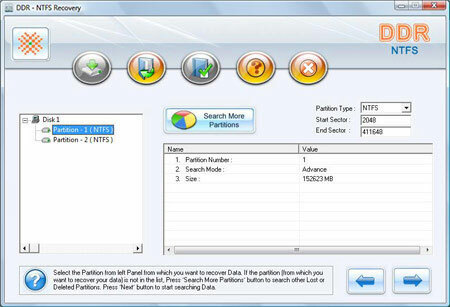 If the partition from which you want to recover your details is not in the list, click on 'Search More Partitions' button to search other Lost or Deleted Partitions. 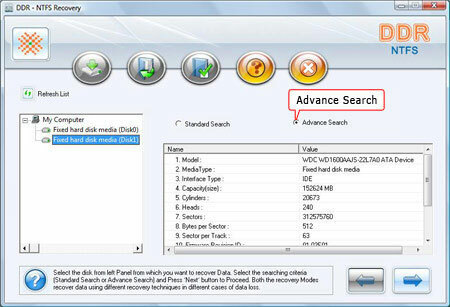 STEP 3 for how to retrieve deleted files : Data recovery scanning screen shows that the drive is scanned for the deleted or lost files and folders. You can stop searching Files and Folders by clicking on 'Stop Search' button. However, it is strongly recommended that you should allow the software to complete the searching process. Click ‘Next’ button for recovering data or click ‘Back’ button to go back to previous step. Perform the ‘Save’ or ‘Save All’ option according to your choice. You can open the recovered files using Open option. 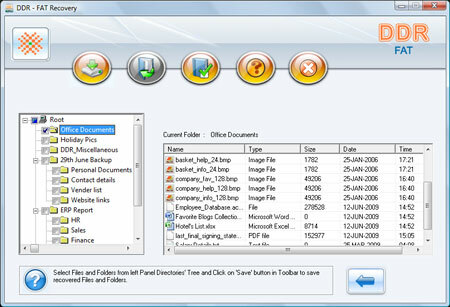 Step 6 for how to recover the deleted files : Once choosing Save option, Software will ask you to choose the destination path to save recovered data. Note: Please select only different destination drive to save the recovered data. Saving data in same drive/volume may cause overwriting and your data may lost forever. 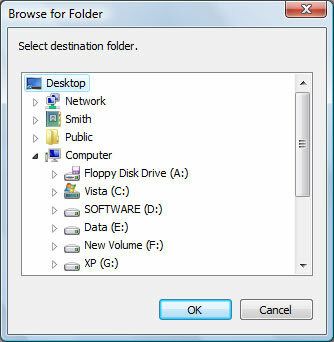 Click Browse button and 'Browse for Folder' Window appears in this screen. Select the drive and click on OK button to save the recovered data. 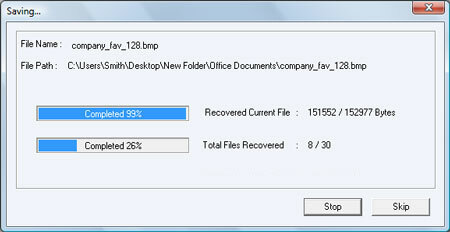 Software then starts saving the selected files on selected destination path as shown in this screen.